Attend a FREE DEMO Session! BigClasses is providing an exclusive SharePoint 2010 Online Training. A Job oriented Software Training by our Real Time Experts. You are welcome to attend our free demo classes for knowing more about the SharePoint 2010 Training. 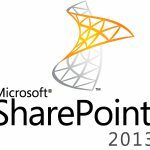 SharePoint 2010 is the business collaboration platform that allows you to connect and empower individuals through formal and informal business communities, among the enterprise and on the far side, and to manage content effectively throughout the data lifecycle. The consolidation of collaboration solutions onto SharePoint 2010 makes it potential to chop prices through lower coaching prices, enhanced IT productivity and cost-efficient maintenance, all at intervals a manageable and compliant platform. Introduction to Microsoft Office SharePoint Server. 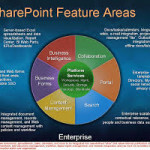 Other Key SharePoint Development Areas. Content Types and Sites Columns. Creating a Site and Sub Site. Managing and Using Site Templates. Adding Web Parts to a Page. Creating and Using Site Columns. Debugging and Deploying Web Parts. Defining Steps Using Conditions and Actions. Extending SharePoint Designer with Custom Activities. Modifying List Forms Using SharePoint Designer. Displaying external data in SharePoint site. Deploying Farm and Sandbox solutions. Feature Activation, Dependencies, and Stapling. Creating a Custom Master Page.